Jean Margaret Button (later Hearn), was born in Launceston, Tasmania, on 30 March 1921. Jean was the eldest of four children of Elton Roy Button, a draper, and his English-born wife Emily Gertrude, née Barrow. The family lived at Smithton on the north-west coast. Jean attended the local primary school and then Methodist Ladies' College (now Scotch Oakburn College), Launceston. On 28 September 1940, at St Stephen's Anglican Church, Smithton, Jean married Frederick William Howe, with whom she had one child. In 1942, while serving in the 2/40 AIF Battalion, Private Howe was captured in Timor. He died in a prisoner of war camp on the island of Java in 1944. 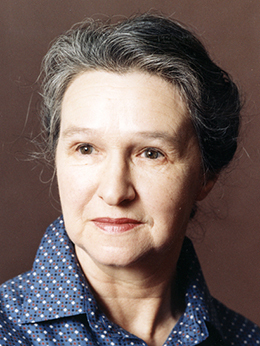 As a result of Howe's death, Jean became a committed pacifist, a belief reflected in her membership of the Religious Society of Friends (Quakers). In 1962 she joined the Australian Anthroposophical Society, which formed part of a worldwide organisation founded in 1913 by the Austrian philosopher and educationist Rudolf Steiner. Anthroposophy, which emphasises the potential for spiritual development in all human beings, played a major part in Hearn's political thinking. In 1948 Jean married Alfred Beverley Hearn of Ballarat, a schoolteacher; the couple had three children together. In 1954 the family moved to Geelong, Victoria, where Jean Hearn was employed as a preschool superintendent until 1959, when the family returned to the Huon district of Tasmania where Jean worked for five years as a librarian. She continued this career for the next four years in Burnie before taking up a position as supervisor at Broadland House Church of England Girls' Grammar School (now Launceston Grammar School). Between 1973 and 1975 she was employed as manager of a student hostel for the Tasmanian College of Advanced Education, Launceston. In the 1970s Hearn was a member of a number of community organisations, including the Launceston Family Day Care Association, which she presided over for the second half of the decade. In 1975 she was recognised as a civil marriage celebrant and co-authored a cookbook, A Taste of Tasmania. Alfred Hearn died in 1978, aged 67, leaving Jean a widow for the second time. Hearn joined the Labor Party in 1954 but took a decade and a half to become politically active. In 1970 she became the first female member of Tasmanian Labor's State Administrative Committee, maintaining her membership for the next ten years. Between 1975 and 1977 Hearn worked in the Launceston office of Labor Senator Justin O'Byrne as a research assistant and in 1980 she became a delegate to the ALP National Conference and a member of the National Status of Women Committee. Although she was identified with the Broad Left of Tasmanian Labor, regarded as a fairly conservative alliance of unions and branch representatives, she was considered to be among the 'genuine idealists' in that grouping. She believed in women's rights but she did not consider herself a 'radical feminist'; she could easily have been described as a libertarian. Hearn first put herself forward for election to parliament in 1972. She was one of eight Labor candidates to contest the Tasmanian House of Assembly seat of Bass but was eliminated early in the count. However, in 1979, with firm union support, Hearn became the first woman to be preselected at the head of an ALP Tasmanian Senate ticket, assuring her a seat in the Senate at the next federal election, to be held on 18 October 1980. As it turned out, three days prior to the election, she was appointed by the Tasmanian Parliament to fill the casual Senate vacancy created by the resignation of Senator Ken Wriedt. Although this appointment expired on 30 June 1981, her tenure was not interrupted, as on the following day she commenced her term in the Senate for the seat that she had won in her own right. Hearn was re-elected at the double dissolution election of 5 March 1983. In her first speech to the Senate, on 25 February 1981, Hearn demonstrated a holistic rather than parochial view of the world, pushing her vision of social justice and supporting the charitable work of churches and welfare groups. She challenged what she saw as an inequitable distribution of resources and suggested that money assigned to the purchase of weapons should be redirected into feeding the poor. She also expressed a concern that Australians were being 'sacrificed to a system which puts economic values and profits before the value and potential of a human person' and declared that 'Working people are not to be discarded as an item of cost at the swing of an imbalanced market, because people have a right to work'. While she acknowledged her views could be described as 'idealistic, impractical and emotional', she justified them by stating that 'it is ... the lack of emotional concern in male-dominated parliaments which have allowed the problems facing the world at present to arise'. Hearn's first speech received compliments from both sides of the chamber, going beyond the usual courtesies. Hearn's contributions to the Senate reflected the wide range of her concerns, including the need for an informed citizenry, the importance of environmental protections, the proliferation of nuclear weapons and the imperative of applying principles of social justice to Australia. In 1981, during debate on the Freedom of Information Bill 1981, Hearn argued for better citizen education programs, stating her concern 'for the quality of democracy in this country' and noting that if citizens 'are deprived of information, they lose interest in government. They become apathetic and they necessarily then lose their rights of participation. A better informed public can examine the problems of funding for various community services with a better understanding and critical judgment'. Hearn repeated these concerns three years later, arguing that there was a need for 'a much greater and more effective democracy in our country' and that an 'effective democracy demands informed participation'. Consistent with her social justice principles, in 1982 Hearn voiced her disapproval of the Fraser Government's proposed legislation to enable the patenting of new varieties of plants. She believed that there was 'no doubt that this legislation will deliberately and decisively prevent the underdeveloped countries from feeding themselves at the lowest possible cost', and concluded that 'seeds must remain a public resource. I think we must consider all aspects of their value, not only the aspect of profit'. She reiterated the point two years later: 'The plant is a living organism upon which all other life depends. No part of it should become the exclusive property of any one person or group'. According to Senator Georges, chairman of the Senate Select Committee on Animal Welfare, Hearn's work on that committee was characterised by 'an empathy for all living things. Her approach was of great value to the Committee because it immediately began to consider matters from the animals' point of view'. Her conservationist stance was not rooted to party politics. For example, within the space of a year, on four separate occasions she questioned Labor ministers about the toxic effects of crop spraying in Tasmania, raising the wider issue of whether the federal government held an inherent duty 'to ensure the right of Australian citizens to clean air, water, land and food that is uncontaminated by pesticides'. In 1984 Hearn became the founding secretary of a parliamentary disarmament group and used Senate debates to plea for global disarmament. She linked public protests against nuclear weapons with calls for 'a new international economic order' and argued for a fundamental change in people's values. She stated: 'If we look at our society we see that the beginning of those nuclear weapons, the beginning of any weapons, has its roots in the values we support. Thus, it is very necessary that we oppose those values, which many of us recognise as being destructive'. She noted that an important prerequisite for such a change in values would be the promotion of 'the emotional and creative' sides of human nature through the education system. Consistent with this vision, on more than one occasion she advocated the introduction of a peace education program into state school curricula and asked challenging questions of her own party's ministers on whether the government had allowed nuclear-armed American aircraft to fly through Australian air space and whether ships with nuclear weapons would be allowed to dock in Australian ports. Hearn often asked difficult questions of her own party in government, using question time to promote her social justice views and raise awareness of specific problems affecting her local constituents. In this way she compelled practical responses from ministers on subjects such as the funding difficulties of a family day care centre, the threatened closure of a shelter for homeless men, communication aids for the disabled, and discrimination against women in the provision of defence service homes. Her tendency to ask 'rather broad ranging questions' actually incurred the ire of senior party colleague Gareth Evans who, after Hearn had left the Senate, labelled her as 'mercifully retired'. Under the retiring-age rules of the Tasmanian ALP Hearn was prohibited from seeking a further term in the Senate. This, it was said, enabled her to 'maintain a certain amount of freedom' and be true to her beliefs. Hearn 'did no deals, owed no one any favours, and felt very much that she was there to serve the people who elected her'. In her final speech, Hearn commented that she was looking forward to continuing her 'work for those ideals which can create for people the realisation of peace and true humanity'. Minutes later Senator Stan Collard commended Hearn for her 'concern and compassion for other people, particularly for those less fortunate than we are and the underdog', adding that her 'concern for world peace is something that we all share'. Hearn's term ended on 30 June 1985. Hearn continued her community work through her retirement. In 2013 she was patroness of the community-based organisation Life Works at Home, dedicated to providing support for the aged or disabled wishing to remain in their homes. She also maintained her association with the Australian Anthroposophical Society and retained a passionate interest in Steiner education. Examiner (Launc. ), 16 Dec. 1954, p. 4; Advocate (Burnie), 18 Oct. 1940, p. 4, 14 Nov 1944, p. 2; Vogue Australia, April 1981, pp. 146–9; Tarremah Times, 3 March 2011, p. 2; J. Vallentine & P. Jones, 'Quakers in Politics: pragmatism or principle? ', James Backhouse Lecture, No. 26, 1990, pp. 11–13; Margaret Reynolds and Jean Willoughby (eds), Her story: Australian Labor Women in Federal, State and Territory Parliaments 1925–1994, Townsville, Qld, 1994, p. 106; CPD (R), 30 Oct. 1974, pp. 3140–1; Georgina Simmonds, Reta Baxter & Jean Hearn, A Taste of Tasmania, Industry Printing and Publicity, Richmond, Vic., 1975; Richard Davis, Eighty Years' Labor: The ALP in Tasmania, 1903–1983, Sassafras Books and History Department, UTAS, Hob., 1983, p. 92.
 Who's Who of Australian Women, Methuen Australia, North Ryde, NSW, 1982, p. 227; CT, 24 Oct. 1980, p. 3; Vogue Australia, April 1981, pp. 146–9; Davis, Eighty Years' Labor, p. 102; CPD, 25 Feb. 1981, pp. 105–8, 109–12, 129–33, 5 March 1981, pp. 356–60. CPD, 8 April 1981, p. 1254–5, 29 March 1984, pp. 903–5, 15 Sept. 1982, pp. 981–3, 9 May 1984, p. 1857–62, 30 May 1985, p. 2850–1, 11 May 1983, pp. 380–2. CPD, 1 May 1984, p. 1358, 9 May 1984, p. 1819, 26 Feb. 1985, pp. 173–4, 8 May 1985, p. 1521, 29 March 1984, pp. 882–8, 903–5, 24 May 1983, p. 699, 5 March 1984, p. 356, 15 Nov. 1983, p. 2556, 14 Dec. 1983, p. 3746. CPD, 20 Oct. 1981, p. 1370, 26 May 1981, p. 2065, 29 May 1981, p. 2349, 23 Sept. 1981, p. 897, 18 Nov. 1981, p. 2269, 6 June 1984, pp. 2613–14, 8 May 1985, p. 1521; Gareth Evans, Inside the Hawke-Keating Government: A Cabinet Diary, MUP, Carlton, Vic., 2014, p. 303. CT, 12 Nov. 1978, p. 3; Davis, Eighty Years' Labor, p. 102; Vallentine & Jones, 'Quakers in Politics', p. 13; CPD, 31 May 1985, pp. 2948–9, 2979–80; Tarremah Times, 3 March 2011, p. 2. This biography was first published in The Biographical Dictionary of the Australian Senate, Vol. 4, 1983-2002, Department of the Senate, Canberra, 2017, pp. 345-348.